Congratulations, you set up your Instagram Business Account. Now what? There’s a lot that goes into successfully managing your Instagram account. If you want to grow your business with Instagram then you’ll need more that pretty pictures. Your Instagram account should be a living breathing marketing machine. You’ll need to consider editing, scheduling, video production, hashtag selection/management, and analytics. Yes, it’s a lot but don’t get discouraged. Getting sidetracked with Instagram is easy - squirrel! Comedic cats, workout videos you’ll never do, and cookie decorators make it easy to lose track of time. But there are countless apps on the market today that can help you manage your time better on the app, optimize your instagram strategy, and so much more - wouldn’t it be great if someone narrowed it down for you? We’re here to help. We’ve done the hard work for you by sorting, researching, and testing a myriad of apps. Keep reading to explore a variety of options to help you manage your Instagram business account. Getting noticed on Instagram is a competition. Once you’re lucky (skilled) enough to get noticed you need engagement from your followers. Having attention grabbing content is crucial to your success. A sloppy post will be passed over. Properly edited images and videos will increase your likelihood of engagement. This app enables easy resizing, cropping, adjusting colors, and adding filters.Text can be added as well (company logo as a watermark, for example). Hootesuite Enhance has cropping templates for Instagram (and other platforms) to make it easy for you. You can also search stock images to find content you can share or build upon. Remember the more original the better original. This app starts out free but Hootesuite offers a wide variety of services and functions relevant to the categories below. We recommend spending some time on their website to learn more about how Hootsuite can meet your needs. Along with it’s sister app A Design Kit, these two apps are a great duo for enhancing and designing attention grabbing posts. There are loads of filters, tools, and effects that you can apply. One of it’s best features is the save option so you can apply combinations you like to future posts. Top of our list of our favorite editing tools on our desktop and on our phones, easy clean up images, crop them, and apply custom filters (that you can create, find for free, or buy). Videos have been garnering more and more attention consistently for the last several years. More attention on your posts, leads to engagement beyond a like, and that’s a very good thing. A short, well put together video can be a great content addition to get your business noticed. The following apps will help take the fear out of video editing. Ideal for making short fun gif-like videos. With Boomerang, the videos play in a loop back and forth. You can record short videos or make them with photo bursts from your camera. This app is only available for iOS, but you can also create boomerangs directly within Instagram Stories (and download them to use in your feed). GoPro may be behind this app, but you don’t have to have a GoPro to use this easy and fast video editor. It has plenty of themes and effects to add to videos or photos. You can share sharp high def videos with the soundtrack of your choice because Quick is compatible with 8 different types of audio files. And get this - Quick will sync the beat to your transitions. It may seem like the best time for you to get caught up on all your social media is at the end of the day in your jammies with a glass of wine, which is true for you, but for your business there is a right and wrong time to post - and it varies from industry to industry. Now, the end of the night might be a good time to create a stockpile of posts for later. That is where the scheduling apps come in to play. This was the first app where you could see and plan your layout before posting. You can manage all your content on their dashboard or your phone. With Planoly you can schedule your posts days, weeks, or months ahead of time, auto populate #hashtags and @Instagram handles to your account, and even schedule your Instagram Stories. There are free options to start with and multiple plans to choose from. Sked Social offers plans starting at $25.00 for single accounts that offer a wide variety of services. Having a visual planner, posting calendar, and auto-posting all in one app makes this very user friendly. It also has editing and analytic capabilities as well. Later is an Instagram partner so off the bat you have the assurance that everything will be compatible. Later boasts an easy to use visual drag and drop planner so you can see your layout before it goes public. Content is easy to upload and Later has a full array of marketing and analytic tools. Creating brilliant posts won’t do you any good if no one gets to see them. Properly choosing hashtags will increase the likelihood that the right people are seeing your posts (and stories)! Hashtags work in two ways, potential followers search them and savvy entrepreneurs like you, place your posts on them. Learning which hashtags matter to your audience will help you get in front of them and increase your opportunity for engagement. A great feature of Display Purposes is that it generates useful hashtags and weeds out spam, junk, and highly overused hashtags. You can spend time using the hashtags without sifting through them. The generated hashtags are often right on the money. And, if you combine multiple keywords, the resulting hashtags will be relevant to all those keywords. It’s easy to use, really easy. There is also a copy option for when you generate a list, just copy and paste to your post. Focalmark generates hashtags based on the photo, geo-location, and the camera used - select a few options and... voila! Their convenient slider lets you choose how many hashtags you want, copy to your clipboard, and set to post. Their motto is Find, Analyze, Amplify. This is a plug-in but it needs to be mentioned. Hashtagify does all things hashtag related; from hashtag generation and monitoring to tracking and analyzing. It starts at $19.00 a month but when you explore what it can do you’ll quickly understand why it’s not free. You can have all the tools available in the world but if you don’t quantify their impact then they’re useless. There are dozens of metrics to be measured, all of which can help you refine and tweak your Instagram account to attract more followers, boost engagement, and connect with more leads. 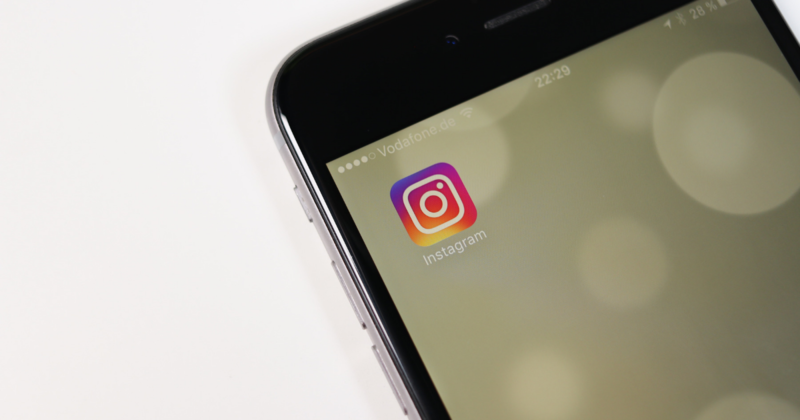 Utilize one of these tools to strengthen your Instagram marketing skills. Super easy to learn and use, Command is a great app that tracks, analyzes, reports, and researches all sorts of data. The easy to understand reports get so specific they even rate how good your captions are. This app also allows you to track your followers. Knowing when they are online offers you a specific targeting advantage. The app is free with in-app purchases but is only available for iOS. An app with a desktop portal, Sprout Social is the real deal. There are truly too many features to list. A full service program including analytics, reporting, calendars, publishing, customer engagement, and lots more. Sprout Social is not for the casual Instagrammer as packages start at $99.00 month, however, you can switch between packages at no penalty to see what works best for you and they have a free trial of course. Insights is part of Instagram and is included in the app. It is a great starting place to get the basics down before investing too much into a paid analytic program. You can view engagement, impressions, top posts, and more. Your Bio page is going to become a valuable “storage space” as you grow your Instagram content and stories. As you learn more about that, be sure to check out Linktree, to help optimize your traffic. As you build your presence on Instagram your followers will become important content generators. Easily repost their content and give proper credit with RePost. Reposting is an organic growth opportunity that you want to be sure to capitalize on while still creating your own original content. It’s a way to stay up to date on trends and to contribute to conversation while supporting the members of your growing Instagram community. Many of the apps we listed above are capable of doing more than just what they were categorized for. Some companies do offer “one stop shopping”. Everyone’s needs and skills are different so take some time to investigate and play around a little, see what will work best for you. (You don’t want to be spending more time figuring things out than you are producing results). Make good use of at least one app from each category and enjoy the results of your Instagram prowess. Have any questions about what you specifically need? Ask away from our community Facebook Group, Online Entrepreneur!